of problem by using Enstella EDB to PST converter tool. oriented program to convert exchange to outlook. 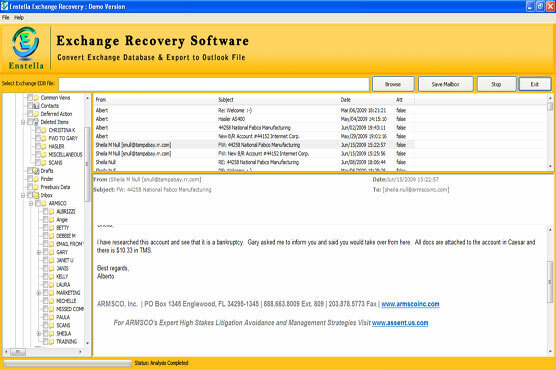 Exchange EDB mailbox & recover it into healthy PST mailbox.